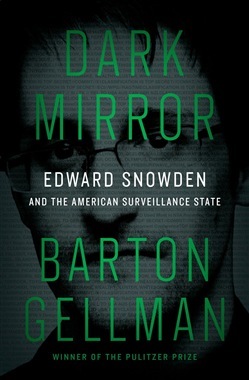 From the three-time Pulitzer Prize-winning author of the New York Times bestseller Angler, who unearthed the deepest secrets of Edward Snowden's NSA archive, the first master narrative of the surveillance state that emerged after 9/11 and why it matters, based on scores of hours of conversation with Snowden and groundbreaking reportage in Washington, London, Moscow and Silicon Valley Edward Snowden chose three journalists to tell the stories in his Top Secret trove of NSA documents: Barton Gellman of The Washington Post, Glenn Greenwald of The Guardian and filmmaker Laura Poitras, all of whom would share the Pulitzer Prize for Public Service. Poitras went on to direct the Oscar-winning Citizen Four. Greenwald wrote an instant memoir and cast himself as a pugilist on Snowden's behalf. Barton Gellman took his own path. Snowden and his documents were the beginning, not the end, of a story he had prepared his whole life to tell. More than 20 years as a top investigative journalist armed him with deep sources in national security and high technology. New sources reached out from government and industry, making contact on the same kinds of secret, anonymous channels that Snowden used. Gellman's old reporting notes unlocked new puzzles in the NSA archive. Long days and evenings with Snowden in Moscow revealed a complex character who fit none of the stock images imposed on him by others. Gellman now brings his unique access and storytelling gifts to a true-life spy tale that touches us all. Snowden captured the public imagination but left millions of people unsure what to think. Who is the man, really? How did he beat the world's most advanced surveillance agency at its own game? Is government and corporate spying as bad as he says? Dark Mirror is the master narrative we have waited for, told with authority and an inside view of extraordinary events. Within it is a personal account of the obstacles facing the author, beginning with Gellman's discovery of his own name in the NSA document trove. Google notifies him that a foreign government is trying to compromise his account. A trusted technical adviser finds anomalies on his laptop. Sophisticated impostors approach Gellman with counterfeit documents, attempting to divert or discredit his work. Throughout Dark Mirror, the author describes an escalating battle against unknown digital adversaries, forcing him to mimic their tradecraft in self-defense. Written in the vivid scenes and insights that marked Gellman's bestselling Angler, Dark Mirror is an inside account of the surveillance-industrial revolution and its discontents, fighting back against state and corporate intrusions into our most private spheres. Along the way it tells the story of a government leak unrivaled in drama since All the President's Men. Acquista Dark Mirror in Epub: dopo aver letto l’ebook Dark Mirror di Barton Gellman ti invitiamo a lasciarci una Recensione qui sotto: sarà utile agli utenti che non abbiano ancora letto questo libro e che vogliano avere delle opinioni altrui. L’opinione su di un libro è molto soggettiva e per questo leggere eventuali recensioni negative non ci dovrà frenare dall’acquisto, anzi dovrà spingerci ad acquistare il libro in fretta per poter dire la nostra ed eventualmente smentire quanto commentato da altri, contribuendo ad arricchire più possibile i commenti e dare sempre più spunti di confronto al pubblico online.